Movie: Tempting Fate(2015). Genre: Drama Storyline: Tempting Fate is the story of two very different brothers. First there is Edu, a talented singer and a man of deep faith, Edu’s spirituality is helping him combat cancer, that and the love of his wonderful girlfriend Tracey. Edu’s older brother Ugo, is almost the opposite of Edu. Edu is calm, reflective and peaceful while Ugo is impulsive and at times menacing. Ugo has also chosen a very different path from Edu’s, a life of robbery and crime and though Ugo knows he is on a path of destruction, the life he has chosen is not an easy one to leave and according to his gang leader Scorpion, a life he won’t be allowed to leave easily. 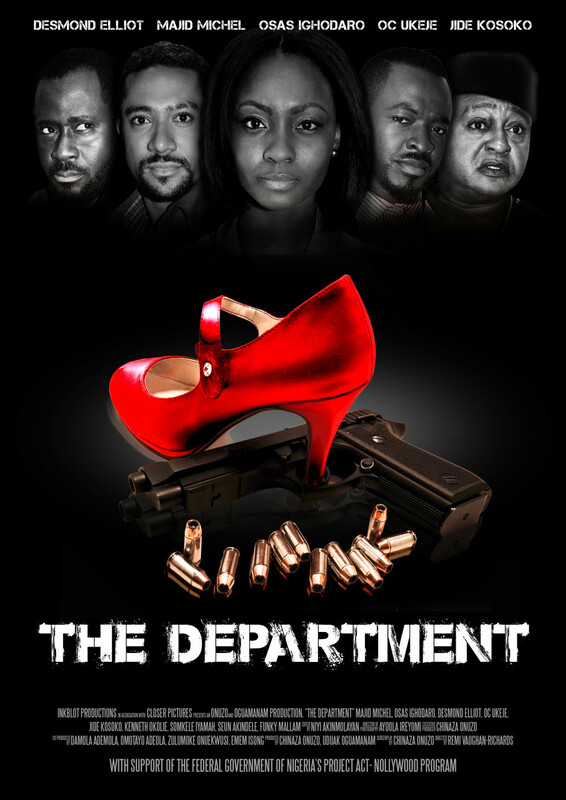 Movie: The Department(2015). Genre: Crime Thriller. Storyline: The film tells the story of a secret department in a business conglomerate, as its gang members blackmail top executives into selling their companies to the leader of the conglomerate (Jide Kosoko). Two lovers (Majid Michel and Osas Ighodaro) however opt out of the organization, but the group wants her back for one last job. She accepts against her husband’s will, who consequently decides to sabotage the department in order to save their marriage. 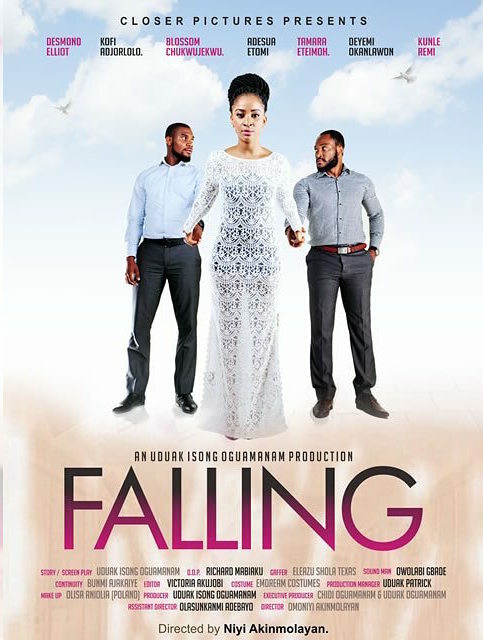 Movie: Falling (2015). Genre: Romatic Drama. Storyline: The film narrates the story of a young couple, Muna (Adesua Etomi) and Imoh (Kunle Rhemmy); Muna has to live with the effects of an accident which has left Imoh deeply unconscious for several months.